Dallas-based TEGNA8 has hired Alisha Laventure to succeed Carla Wade as the station’s latest weekend morning anchor. She also will report for the station on the weekday morning shift. She’s scheduled to arrive this summer from News 12 Long Island, according to a staff memo by news director Carolyn Mungo obtained by unclebarky.com. 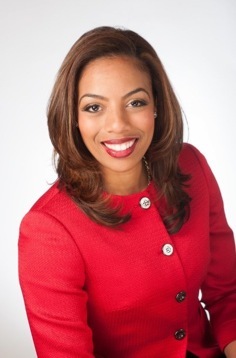 Venture joined the Long Island station as a general assignment reporter in September 2011 and currently is also the weekend morning anchor and host of Diverse Long Island. The Washington and Lee University graduate also has worked at WMBF-TV in Myrtle Beach, South Carolina and been a junior production assistant in affiliate relations for CBS Broadcasting Inc. News 12 Long Island is a non-network affiliated 24-hour news channel where TEGNA8 weekday morning co-anchor Ron Corning and Good Morning America co-anchor Lara Spencer also have worked. Laventure’s predecessor, Carla Wade, worked for three years at TEGNA8 before the station declined to renew her contract in January of this year. Wade succeeded Shon Gables as weekend morning anchor after TEGNA8 dropped Gables in June 2014.